In compliance with the new economic policy of UAE, Abu Dhabi is moving rapidly towards advancement in business, industrial and other sectors. For this purpose, an important step is the establishmentof free zones. Currently, Abu Dhabi has second highest number of free zones in UAE after Dubai while few new free zones are under-construction in the emirate. 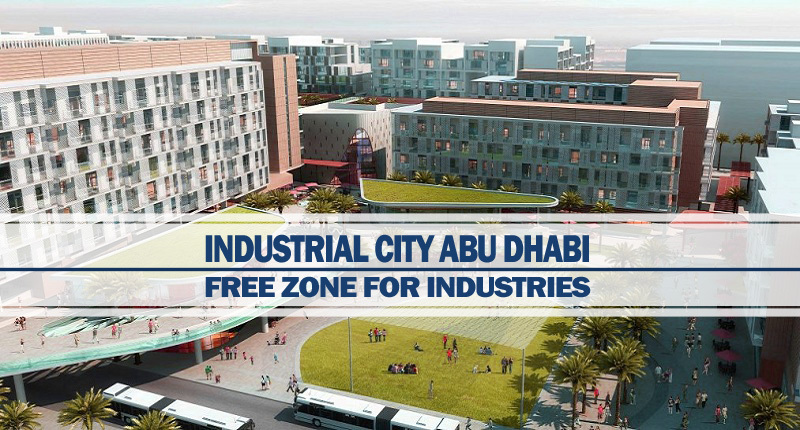 Most of the free zones in Abu Dhabi are dedicated to a single type of business or industry. This proves also true for Industrial City of Abu Dhabi (ICAD) which is dedicated for all types of industries. ICAD is the production of ZonesCorp, an industrial development organization of Abu Dhabi. ZonesCorp is in the process of construction of few other free economic zones also. This organization was launched by the government of Abu Dhabi in 2004 and is now considered as the largest operator of free economic zones in UAE. ICAD is the masterpiece of ZonesCorp. ICAD is spread over an area of 40 square km and located at the outskirts of Abu Dhabi city. This specific industrial city is composed of multiple clusters and all these collections enjoy latest infrastructure along with dependable utility and communication networks. This industrial free zone provides facilities and opportunities for all types of heavy and light industries. Few of these include oil & gas, steel, construction material, logistics, metals, food and many others. An important advantage that all these industries avail in ICAD is its favorable geographical location. It has easy access to several ports and airports through fully-constructed roads. Industries in this free zone can easily be connected to markets in different countries of every continent due to its proximity of sea, land and air routes. Other reason that attracts investors from different parts of world is the presence of flexible and cost-effective plot sizes for easy construction of companies and accommodation of workers. Apart from that, all types of other facilities required for various industries are also available in this specific free zone for companies. The whole city is constructed and is operated according to the highest environmental and technical standards. All these facilities and suitable location makes ICAD as an attractive destination for companies related to big and small industries. If you want to take advantages of this special free zone in Abu Dhabi, then we can assist you by setting up your company in ICAD. We are specialist in free zone company formation in Dubai, Abu Dhabi and all the other emirates of UAE.